If you use teamviewer, uninstall it ASAP! what is teamviewer? i've never heard of it. Remote access program, just thought I'd spread the word around in case. 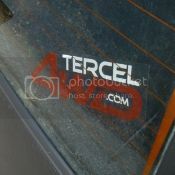 My tercel:: '85 Toyota Tercel Wagon 4x4 All stock and waiting for upgrades and improvements! Hello! I cannot find the New topic button to start a thread... I saw activity here and thought I'd ask. I read the Q&A and looked around with no luck. Is the site still 'under construction'? there is a "new thread" tab at the top of each forum, you have to do it at the forum "root", not from within a thread. Easy once you know where to look it is not an issue. good luck.